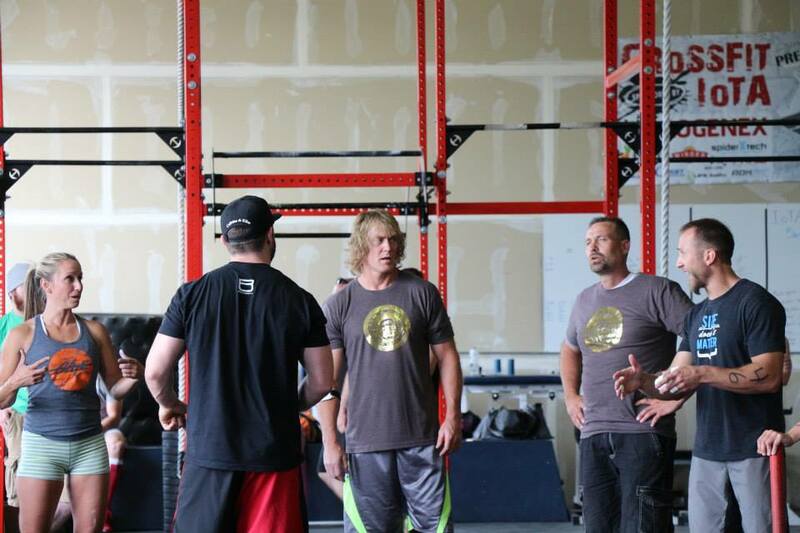 Daryl has just heard the final tie breaker WOD…. so how should we caption this photo? 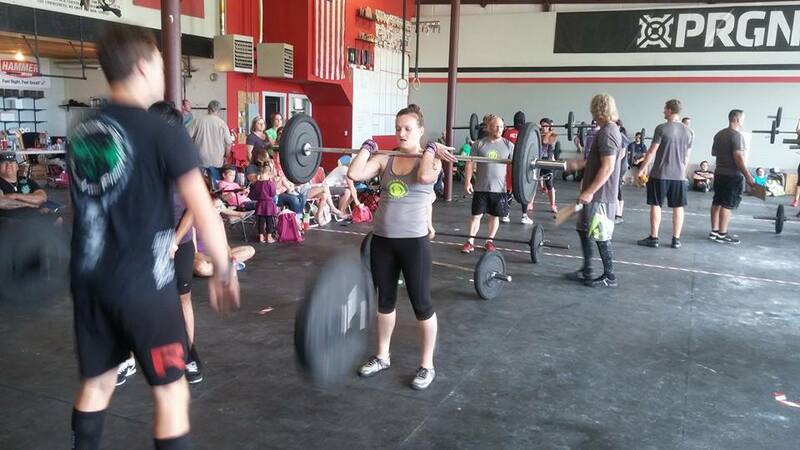 Lynsey during the final WOD of LNS2014! With it being the Week of the 4th we’ve got a few schedule changes. Coach Joe is out of town so there will not be any strength classes this week. 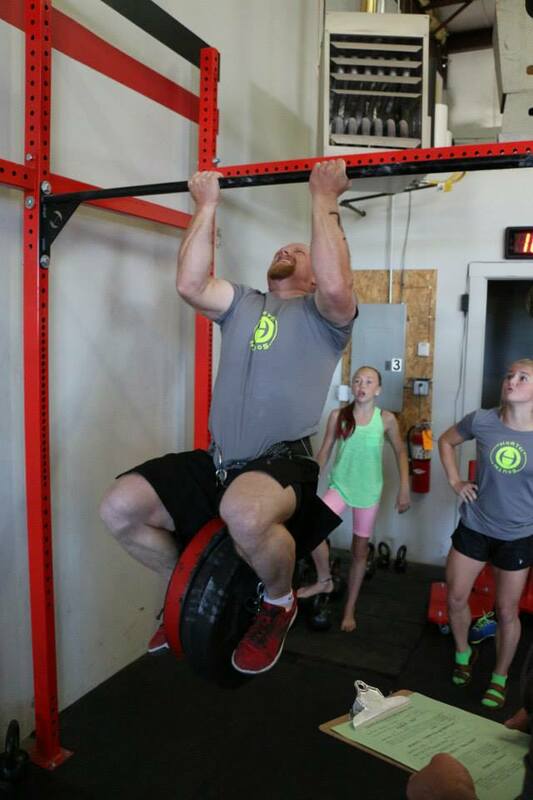 Friday July 4th, we will hold one class at each location and the WOD will be the Hero WOD of your choice. We will be closed Saturday. Article of the Day: 10 Mistakes Women Make With Diets – read complete article HERE. 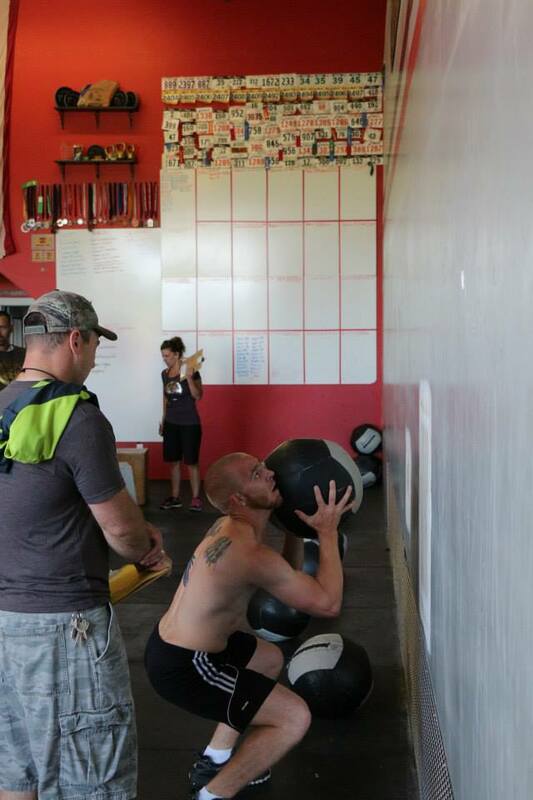 Tyler working on WOD #1 – Great to see his progress! Article of the Day: Tim McGraw is ripped to shreds at 47: His low-carb Paleo diet & CrossFit workout – Read the complete article HERE. 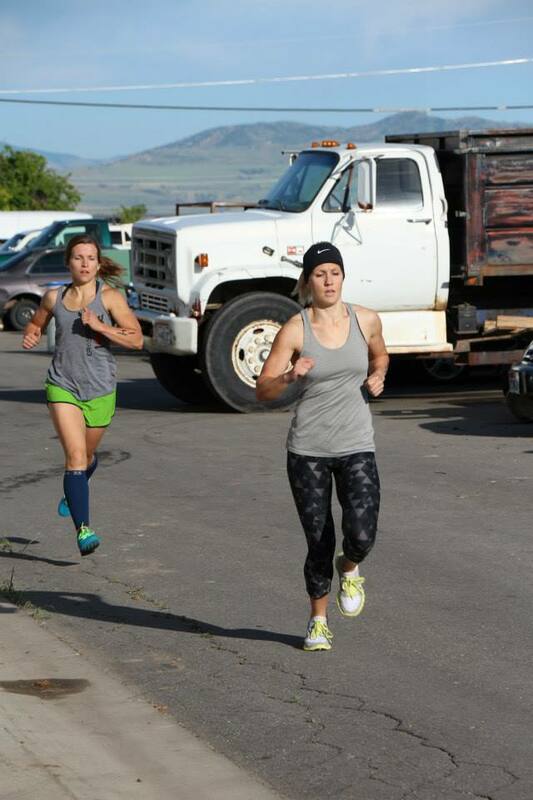 Kendl and Melissa running in WOD #1 this past weekend at Leave No Survivors 2014.
you choose the weight, but no pausing, work on cycle times. With the 4th year of Leave NO Survivors in the book I am again reminded how amazing our community is. Without the help of so many amazing people we would never be able to put on and host such a fun event. To Jessica Dunyon and Mike Newswander – thanks for all the great updates, stories and pictures. You both helped make the event come alive for all those who couldn’t be there in person. To Liz, Erin and Charri – checking everyone in and staying on top of the scoring, amazing job ladies. To The Judging team: Ryan Young way to keep everyone rolling, Stacey Baker, Stacey Clark, Lori Plott, Julie Johnson, Missy Best, Trisha Hall, Kelly Moore, Scott Best and Justin Anderson, Thank you for a job well done and for your consistency. To the Equipment Team: Matt Plott, thanks for doing such a great leading your team. Kacee Mattinson, Brian Faulkenburg, Katie Oliverson, Dave Oliverson, Tom Apedaile, Nickole Newmeyer, Tori Hillyard, Emma Hogan couldn’t have had such a smooth running event without each of you. To Luke Adams and Progenex for being such a great supporter of what we do and providing some great prizes for the athletes.